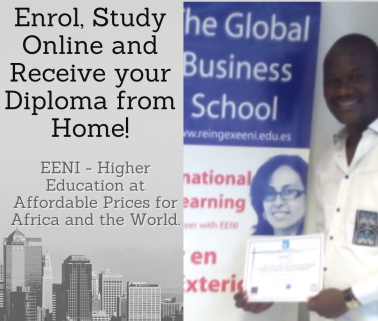 Syllabus of the Online Course (Subject): Economic Community of Central African States (ECCAS). (*) Only available in French (optional contents). 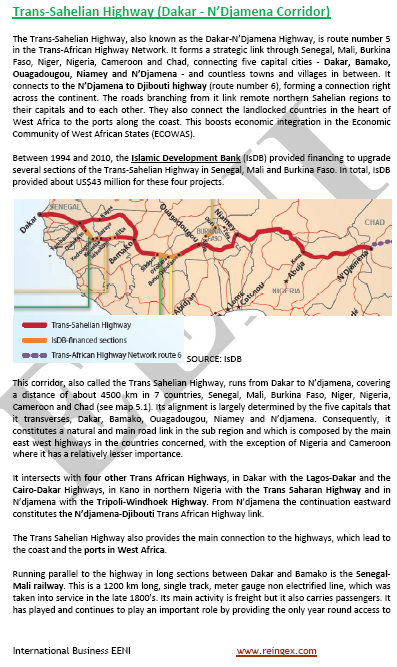 The main objective of the Economic Community of Central African States (ECCAS) is to promote regional economic cooperation and set-up a Central African Common Market. The Economic Community of Central African States (ECCCAS) Member States are Angola, Burundi, Cameroon, the Central African Republic, Chad, the Democratic Republic of the Congo, the Republic of Congo, Equatorial Guinea, Gabon, Rwanda, and São Tomé and Príncipe. 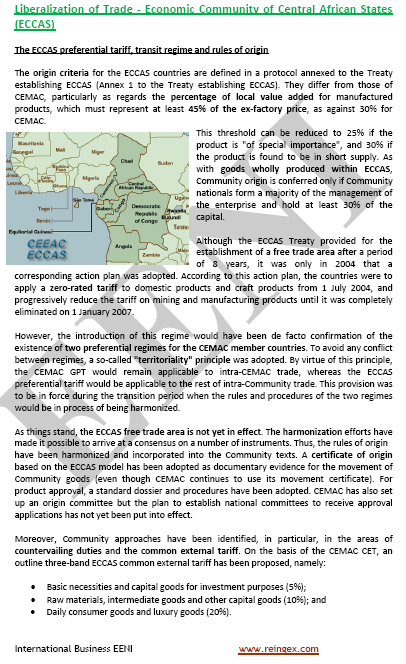 Neither the customs union nor the free-trade area of the ECCAS is still in operation. 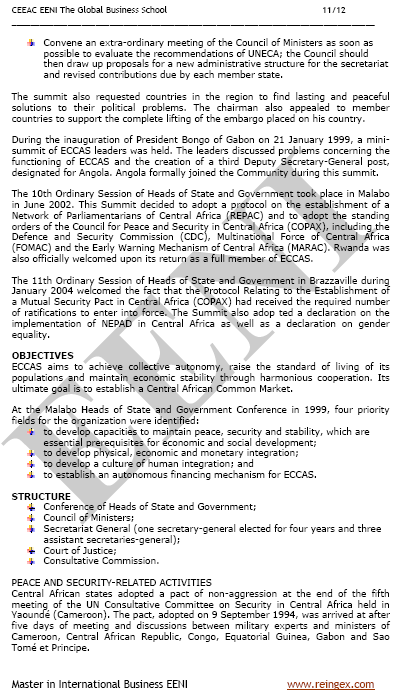 The Economic Community of Central African States (ECCAS) has been inactive from 1992 to 1998. The Economic Community of Central African States (ECCAS) belongs to the Central African Economic Area (African Civilisation). 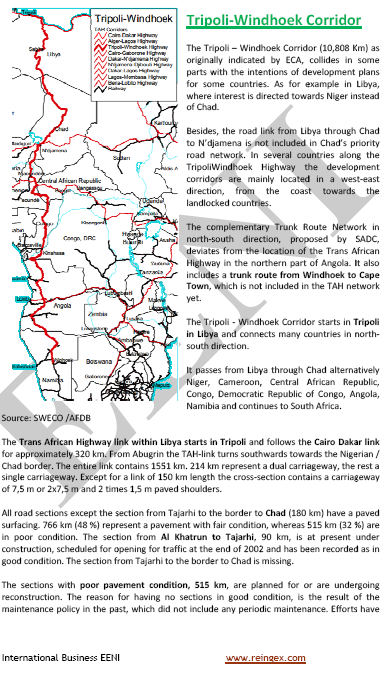 Main Trans-African corridors in the ECCAS region.